What would it be like for modern readers to sit down beside Jesus as he explained the Bible to them? What life-changing insights might emerge from such a transformative encounter? Lois Tverberg knows the treasures that await readers willing to learn how to read the Bible through Jewish eyes. By helping them understand the Bible as Jesus and his first-century listeners would have, she bridges the gaps of time and culture in order to open the Bible to readers today. Combining careful research with engaging prose, Tverberg leads us on a journey back in time to shed light on how this Middle Eastern people approached life, God, and each other. She explains age-old imagery that we often misinterpret, allowing us to approach God and the stories and teachings of Scripture with new eyes. By helping readers grasp the perspective of its original audience, she equips them to read the Bible in ways that will enrich their lives and deepen their understanding. As a student of God's word, I am always looking for ways to be challenged in my thinking and understanding of the Bible. I love to have a great library on hand of tools that help me discover the Bible in a new light and understanding without taking scripture out of context and "Reading the Bible Rabbi Jesus," does just that. This book is filled with amazing explanations of Jewish context, culture, history and study habits that I had never even considered. I love how she explains that our Western culture and mindset frames the lens in which we read and view scripture. It is so fascinating to me. Having a Western Worldview, this is the only one I know of, so this book challenged me and stretched me beyond my bandwidth and I loved it! This book is such a valuable tool. I have pages highlighted and marked up. Don't miss this book. It is a wonderful book! I tried to buy a couple copies in our local Christian book store and they were sold out, so I went to Amazon for them. Make sure you get a copy. You will be challenge by this amazing book! I give this book 5/5 stars. Lois Tverberg has been speaking and writing about the Jewish background of Christianity for the past twenty years. 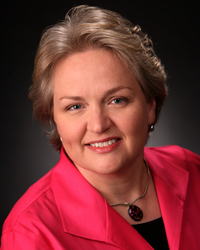 Her passion is to translate the Bible’s ancient setting into fresh insights that deepen and strengthen Christian faith. Lois grew up with plenty of Sunday school knowledge, but it wasn’t until after she had earned a PhD in biology and was teaching as a college professor that her fascination for biblical study was ignited by a seminar at her church. She has since studied several times in Israel, taking courses in biblical Hebrew, Koine Greek, and in the physical and cultural context of the Bible. In 2009 Lois partnered with Ann Spangler to write the bestselling Sitting at the Feet of Rabbi Jesus (Zondervan). Together they explored his first-century world of rabbis and disciples, festivals, prayers and the Torah, and discovered how restoring Jesus to his Jewish reality sheds light on his life and ministry. 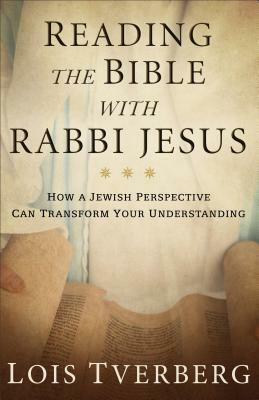 Later Lois followed up with Walking in the Dust of Rabbi Jesus (Zondervan, 2012), where she challenged her audience to follow their Rabbi more closely by hearing his teachings in light of Jewish thought.